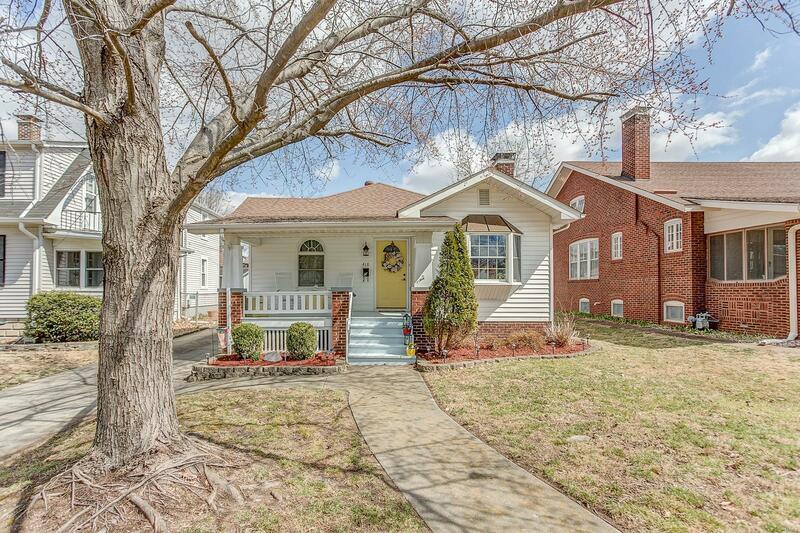 Adorable bungalow in Belleville with the touches of Magnolia Home. The living room has a wood burning fireplace, bay window, and hardwood floors. The full bath has ceramic floors, linen closet and updated vanity. One of the bedrooms has it's own half bath. The kitchen just got a makeover with new countertops, sink, and backsplash. The backyard has a private patio area surrounded by a privacy fence along with plenty of green space! The pull through carport and large garage offer so much storage and covered parking. Don't forget about the full unfinished basement! Roof new in 2014, furnace 2012, and inside of the AC 2015. Minutes to Scott Air Force Base, Hwy 15, and downtown Belleville. This one won't last!